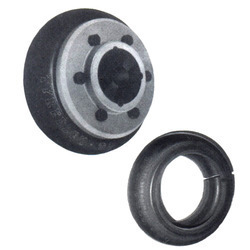 We are offering Flex Tyre Coupling. These are manufactured using the unsurpassed quality material and high-end equipment with the set eminent standards. Offered automatic flex tyre coupling are checked under the command of our quality administrators to verify faultless deliveries. These are obtainable in a variety of sizes. We are engaged in presenting an extensive range of Fenner Tyre Coupling to our clients. Our offered products are designed to handle high pressure comfortably. These couplings automatically handle and discharge the excess built up pressure keeping the tyre balance steady. 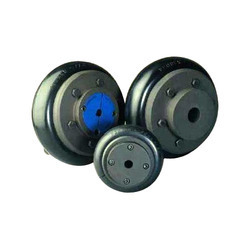 Furthermore, these couplings are manufactured using quality heavy cast iron metal. We are providing the Tyre couplings with all the desirable features of an ideal flexible coupling, including Taper Lock fixing. Tyre coupling is a "torsionally elastic" coupling offering versatility to designers and engineers with a choice of flange combinations to suit most applications. 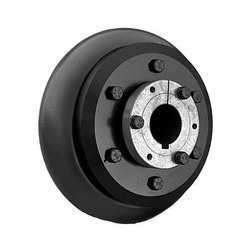 Looking for Tyre Couplings ?